SDHQ has evolved as a business over the last few years into an off-road retail powerhouse. They have combined a manufacturing business with an online off-road retail store, and they build custom off-road race vehicles. 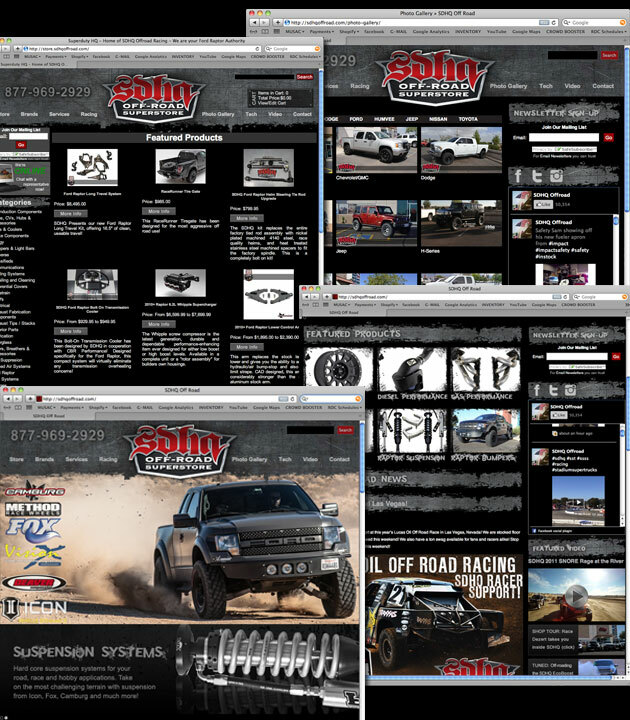 We created a modular website that was cheap to maintain and easy to update so that SDHQ could quickly post new content from customers, race teams, and their products department.